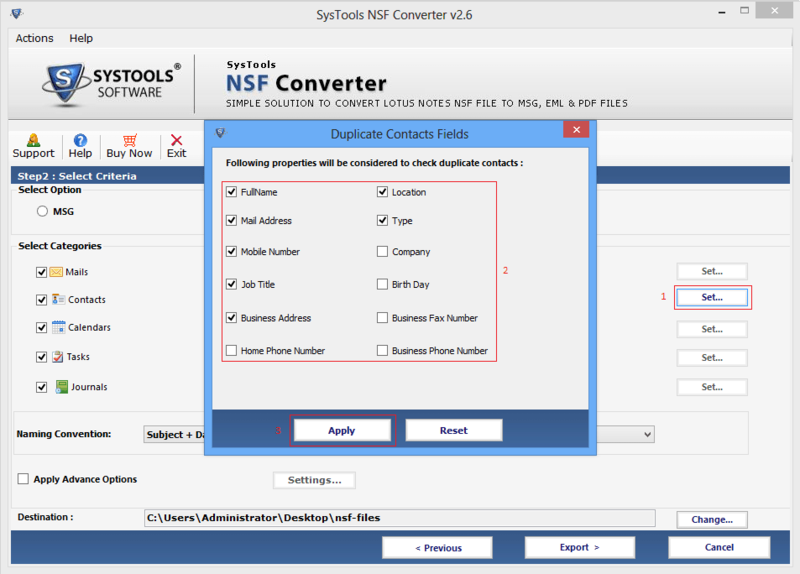 Get the NSF Converter Application which is Exclusively Designed to Precisely convert Lotus Notes Emails, Contacts, To-Do-List etc into EML, MSG or PDF file format. Software converts entire data from Lotus Notes to EML, MSG, PDF effectively. After conversion user can view Lotus Notes NSF file to Outlook Express or other Email Clients as EML, MSG or PDF file format is supported by various Email Clients. 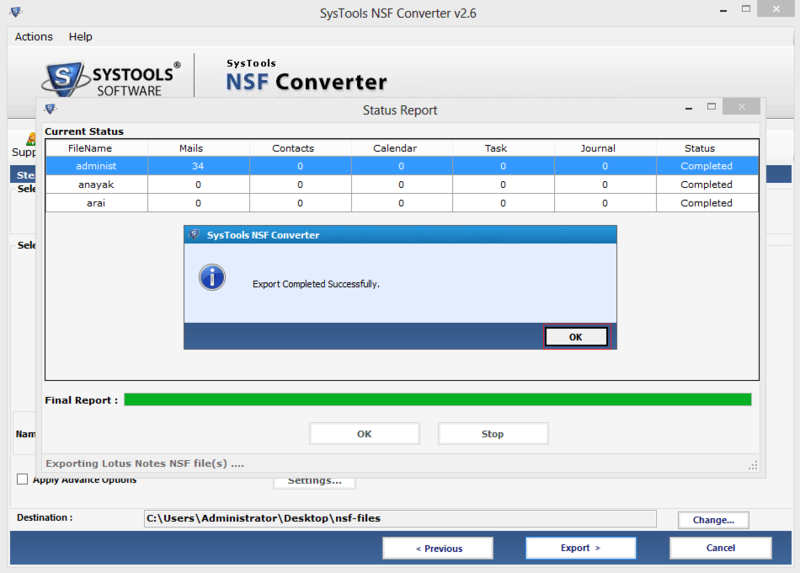 NSF to MSG Converter allows you conversion of Multiple NSF files. Software will not enforced to the no. of NSF files & size of file as well. 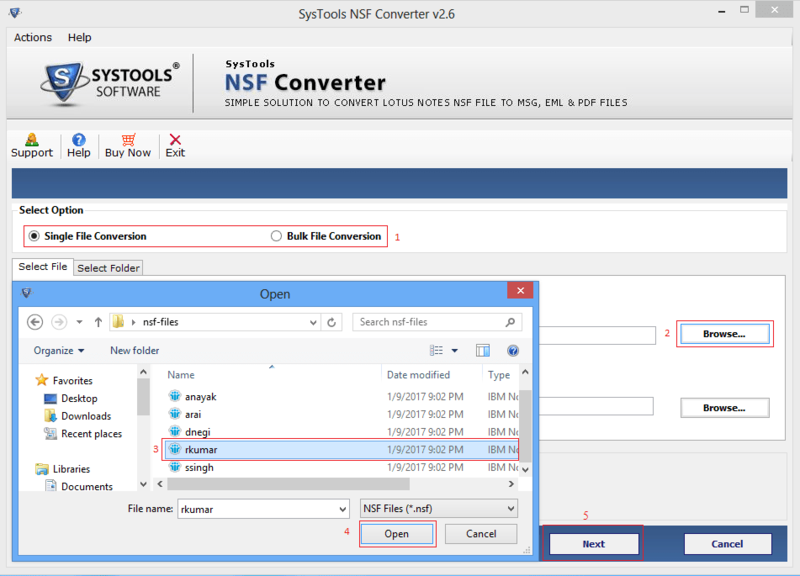 If you have a folder which is comprise with many NSF file, user can convert complete folder at once. 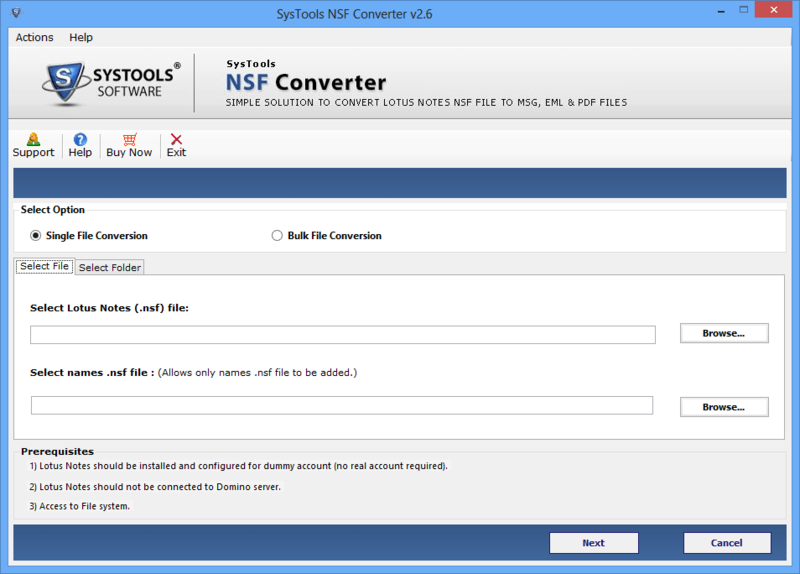 With this application user can convert Lotus Notes files from NSF to MSG. Software export all data items of Lotus Notes like Calendars, Journals, and To Do List and able to view NSF files to Outlook. Software provides conversion's Status Report concurrently. Through this user can perceive the conversion of each mail or data item simultaneously. Status Report contains no. of items before and after conversion. Software involved accurate features with easy to use interface. It preserves the data structure of folder as well as emails after conversion. This way the user obtains the data in its exact shape and form. Export Lotus Notes NSF to EML is so much facilitate that it maintained the integrity of original data. Software convert all mails in to EML, MSG or PDF format with all Meta data like image, links, cc, bcc and all other attachments. Watch online video to visualize the conversion process. This video will help you to get effective and convenient conversion steps from NSF to EML appropriately. Will this software is able to transfer all data in EML,MSG Á PDF format? Yes off course software is able to migrate all data of NSF resources like Email, Calendar and Contacts not only in EML also in MSG format. Does this software need Lotus Notes installation at the time of migration? Yes at the time of conversion Lotus Notes should be installed on your computer without that NSF file can't be open to migrate. If I need to check the correct working process of software should I? Why Not, the software is implemented with demo version which is facilitate with the extraction of 50 emails from NSF format to EML, MSG or PDF after that you can purchase it. Does this software separately convert contact in to VCF? Yes user can convert their names.nsf file Or Address Book in VCF or calendar can be migrated in vCal file format. I would like to say thanks as I am Lotus Notes user going to leave my profile from it and want to save my important emails and contacts in such a format so that I can use them in near by future. In my whole research on the internet I found this perfect tool which saves my selective mails from NSF to MSG, EML or PDF format. Why People Move Towards NSF2EML Migration? Concept of EML File Format: EML is an email file which basically stored email data which is created by various email clients. 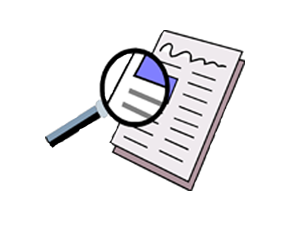 Meanwhile, an EML file can be easily accessed over Windows, Linux and on Mac operating systems easily. EML file is the utmost portable file format that can supported by various email clients. EML supported email clients are less complicated then IBM Lotus Notes. All data items like Mails, Contacts, Tasks, Calendars & Journals are converted from NSF to EML. Software allows Dual Conversion from Lotus Notes to EML or to MSGor to PDF with Bulk mode. Separately convert Lotus Notes Contacts into VCF file format. Powerful Search Feature to locate the NSF files within Folder & Sub-folder. Maintain Folder Sequence while converting their data from NSF to MSG, EML or PDF format. Copyright © 2017 | www.nsftoeml.com | All Rights Reserved.